It’s that time of year again. Orders are dropping, and your brain is spinning. Where are we for sure going? Will it be Cali or Kansas? Should we live on post or off? How are the schools? Shopping? Commutes? Will we need ski suits or swimsuits? What’s the quality of life—as in, where is the nearest Target? Don’t fret! Your friends at MILLIE have put together a tip list to survive the pre-PCS scramble. Having physically PCS’ed 7 times, and mentally PCS’ed at least 70 times as I've researched PCS guides for MILLIE, I’ve picked up a few ways to cut corners and find information fast. We know the chances of getting that swoon-worthy duty station are rare. But the sooner you embrace wherever you’re going, the sooner you can plug in and find your tribe. Visit city websites, the local chamber of commerce, and tourism sites. Peruse the installation website to see what amenities are on base. Before you even pack the car, plan a trip or excursion for soon after you get settled. Force yourself to do some digging into what the area has to offer. Pro Tip: Subscribe to local event calendars and Facebook groups to plan out several weekends post-PCS. Do this before life gets busy with boxes and messed up mail! Social media platforms are a wealth of information and can be leveraged for research. Join spouses' groups on Facebook to search for neighborhood, commute, and school info. Follow local photographers on Instagram for a visual tour of the area. Scour Pinterest for boards that other military spouses have already curated (you’ll likely run across a board or two belonging to our MILLIE Scouts). Pro Tip: Facebook groups can be ‘secret’ or closed, so you may not discover them until you’ve already unpacked your boxes and joined a yoga studio. Join public groups, then ask if there’s a secret group someone can add you to! We suggest turning to good ol’ Google Maps to chart out your new “pattern of life.” Create a custom map and start dropping points for schools, gymnastics, your favorite grocery store, and the base itself. Familiarize yourself with the surrounding neighborhoods, cities, and where things are in relation to the base. Gates can be helpful to plot here as well. Pro Tip: Use Google Map traffic patterns to understand the commute situation. Is there an area that clogs up? Is a potential neighborhood connected to base by secondary roads or a freeway? Adjust the “leave by” time to 5 pm when entering directions and you’ll see bars of red, orange, and green identifying the traffic patterns. PCS’ing is no fun, but it is good for one thing—beefing up your network of friends. Ask your friends if they’re familiar with your soon-to-be new home. Ask them to ask their friends — and ask for intros! You’d be surprised how eager military spouses are to share their wisdom. If your network turns up dry, use online forums like Reddit or City-Data. Search “moving to Fort Bragg” or “What are the neighborhoods like in ____?” then dig in. Be sure to check the dates on the comments and read between the lines (beware of the Negative Nellies). Pro Tip: MILLIE Scouts can be your boots on the ground from afar. You can hire a military spouse at your next duty station to view a home, FaceTime with you to tour a neighborhood, and provide objective reviews. This is probably the least exciting, but most important, research component of your impending PCS. You need to get a handle on the market and the schools. Zillow Home Value Indices provides some great data, but a knowledgeable real estate agent can help with neighborhood-specific market values and trends. Great Schools is a fantastic starting point to compare area schools, but don’t rely exclusively on these scores. Dig deeper by going to the state’s Department of Education website to pull district and school report cards. You should also call the school to interview the administrator to see if it’s a good fit. 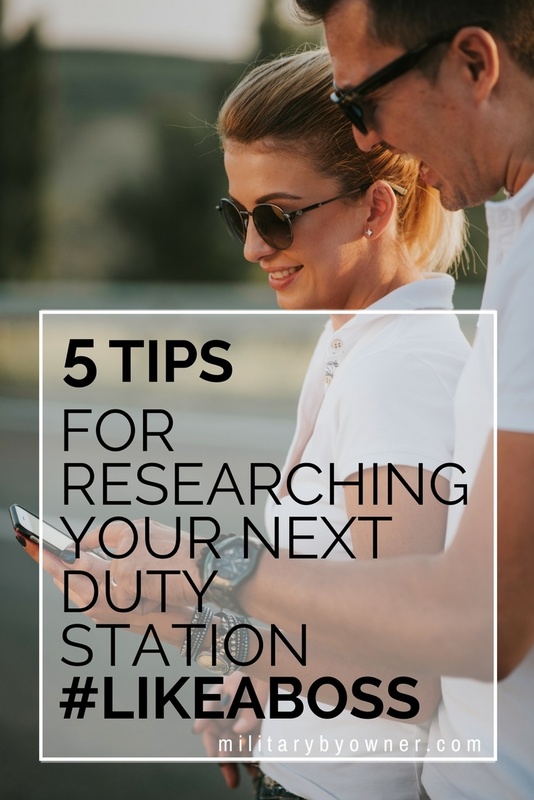 Pro Tip: Military installations often have a School Liaison Office which can be immensely helpful when trying to decide on the best school for your child! This seems like a lot of work — and it is! The good news is that MILLIE has already done most of this work for you. We freely offer all of this and more for over 70 installations across the country. Our Scout network is standing by to help you with on-demand tasks with a future home or a rental you’ve left behind. They are area experts, so if your research leaves you feeling in the dark — reach out to a Scout to shine some light. Kellie Artis is MILLIE’s content director and managing editor of the MILLIE Journal. When she’s not “mentally PCSing” to write installation guides for military families, you can find her taxiing her two kids around town, reading on her front porch, or posing as a Crossfitter. 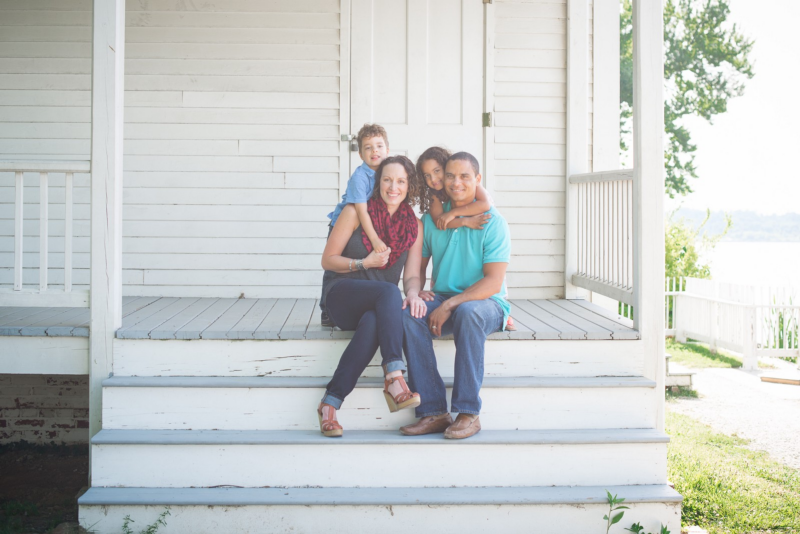 She’s been married to her soldier for almost 11 years, PCS'ed 7 times, and currently resides in North Carolina.